Last week, I mentioned “being kinder” and this story is a cocktail of kindness and compassion. 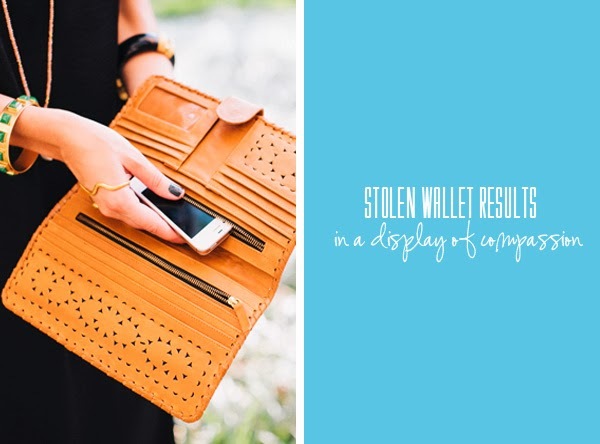 A man stole this woman’s wallet in a grocery. The woman, talks to the man instead of creating a scene or reporting him to the authorities. You won’t believe what happens. Click here to read about the story. Not only did she forgive him, she extended more benevolence by paying for his groceries. I don’t think I would have reacted like Jessica. I wish I reacted to situations without anger first like her. This made my heart ache a little, in a good way. This is another story that restores my faith in humanity. Thank you Jessica for being who you are!